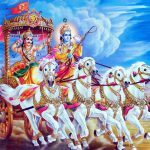 Out of many standard and authoritative revealed scriptures, the Bhagavad-gita is the best. Persons who are almost like animals have no faith in, or knowledge of, the standard revealed scriptures; and some, even though they have knowledge of, or can cite passages from, the revealed scriptures, have actually no faith in these words. 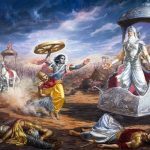 And even though others may have faith in scriptures like Bhagavad-gita, they do not believe in or worship the Personality of Godhead, Sri Krishna. Such persons cannot have any standing in Krishna consciousness. They fall down. Out of all the above-mentioned persons, those who have no faith and are always doubtful make no progress at all. Men without faith in God and His revealed word find no good in this world, nor in the next. For them there is no happiness whatsoever. One should therefore follow the principles of revealed scriptures with faith and thereby be raised to the platform of knowledge. Only this knowledge will help one become promoted to the transcendental platform of spiritual understanding. In other words, doubtful persons have no status whatsoever in spiritual emancipation. One should therefore follow in the footsteps of great acaryas who are in the disciplic succession and thereby attain success. Having spoken of the person who was qualified with knowledge, in this verse Krishna speaks of the person without qualification for knowledge. That person perishes who is ignorant like an animal, or who, though knowing the scriptures, does not believe in anything, because of seeing the arguments between various factions (asraddhadanah), or who though even having faith, is afflicted with doubt whether he can attain the goal. Among these persons (ignorant, faithless, and doubting); the doubting one is especially criticized in the last line. 4.40 ‘The ignorant,’ i.e., one devoid of knowledge received through instruction, ‘the faithless’ or one who has no faith in developing this knowledge taught to him, i.e., who does not strive to progress quickly, and ‘the doubting one,’ i.e., one who is full of doubts in regard to the knowledge taught — such persons perish, are lost. When this knowledge taught to him about the real nature of the self is doubted, then he loses this material world as also the next world. The meaning is that the ends of man, such as Dharma, Artha and Karma which constitute the material ends or fulfilments, are not achieved by such a doubting one. How then can man’s supreme end, release be achieved by such a doubting one? For all the ends of human life can be achieved through the actions which are prescribed by the Sastras, but their performance requires the firm conviction that the self is different from the body. Therefore, even a little happiness does not come to the person who has a doubting mind concerning the self. 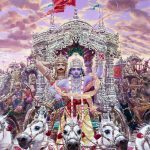 After previously describing the qualifications of an aspirant for spiritual knowledge now Lord Krishna describes the characteristics of one who is unfit and not qualified for spiritual knowledge. One who is ignorant, of little faith, who does not follow instructions of the spiritual master, who doubts the teachings of the eternal Vedic scriptures. Such a person has no chance for spiritual awakening and their human birth was all for nothing and in vain. One who doubts is ruined in this life for one will have little or no success in this world and such a person will have nothing in the next life either because of not acquiring any merit in this life. Nor will there be any happiness for them as due to always doubting one is unable to enjoy anything and thus pleasure for them also is an impossibility. After explaining concisely how the person of faith acquires spiritual knowledge through the instructions of the spiritual master, Lord Krishna speaks of the miserable fate of the ignorant who are devoid of faith but in this verse He uses the particle ca twice meaning again and again is given to indicate that by the mercy of the spiritual master even the ignorant if they have faith can be eventually liberated by performing some easy simple practice as determined by the spiritual master. But a person with no faith will not engage themselves in any practice because they do not believe. Still one with no faith may still have a chance to be liberated even without practising if they have some association with self realised beings or if they take the opportunity to render service to them. The doubting is of a more severe nature as doubting of the instructions of the spiritual master, doubting the authority of the Vedic scriptures, doubting the superiority of Vaisnavism, doubting the reality of the deities presence. All these things put one’s mind in a hellish condition and with an unstable mind one does not follow any path fully but runs hither and thither and thus deviates from the natural path of human beings which is only found in the Vedic scriptures. For the doubter of little faith there is no happiness in this world or the next having performed no spiritual activities in this life such as even marriage which is a sacred rite and thus having no offspring from marriage which is also a sacred rite and thus by not accruing any spiritual merit in this life one’s chance for happiness in the next life are bleak and grim as well. 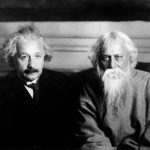 The meaning is how is it possible for such persons ever to become liberated if they doubt the very essence that they received their existence from. 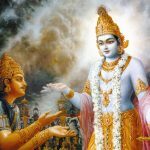 4.40 Ajnah, one who is ignorant, who has not known the Self; and asradda-dhanah, who is faithless; [Ast. adds here: guruvakya-sastresu avisvasavan, who has no faith in the instructions of the teacher and the scriptures.-Tr.] and samsaya-atma, who has a doubting mind; vinasyati, perishes. Although the ignorant and the faithless get ruined, yet it is not to the extent that a man with a doubting mind does. As for one with a doubting mind, he is the most vicious of them all. How? Na ayam lokah, neither this world which is familiar; na, nor also; parah, the next world; na sukham, nor happiness; asti, exist; samsaya-atmanah, for one who has a doubting mind. For doubt is possible even with regard to them! Therefore one should not entertain doubt. Why? ajñaḥ — a fool who has no knowledge in standard scriptures; ca — and; aśraddadhānaḥ — without faith in revealed scriptures; ca — also; saḿśaya — of doubts; ātmā — a person; vinaśyati — falls back; na — never; ayam — in this; lokaḥ — world; asti — there is; na — nor; paraḥ — in the next life; na — not; sukham — happiness; saḿśaya — doubtful; ātmanaḥ — of the person.